I met Professor Michael Bar-Zohar for the first time in Brussels, in the European Parliament, in 2011. I participated in the launch of his book dedicated to the rescue of the Bulgarian Jews during the Second World War. As a MEP, as well as being a Member of the Committee of Culture and Media, I was also actively involved in the Delegation for Friendship with Israel, so the problems of Israel and the Jews are not unfamiliar to me. Moreover, in my native Plovdiv I grew up with Jewish friends, for whom I have always had the warmest feelings. Emil Stoyanov’s interview for ’24 hours’ newspaper: It is important not to brag against the country, but to work for solutions. The interview of Emil Stoyanov with Diana Petrova for ’24 hours’ newspaper was published on 18th of June 2012. Following the invitation of the MEP Emil Stoyanov the 8 representatives of the Committee on Culture, together with the Chair of the Committee Doris Pack will visit the city of Plovdiv in October. Bulgarians abroad: The Bulgarian Vice-President Margarita Popova and Emil Stoyanov аre organizing a meeting of the Bulgarian communities abroad. In the beginning of November, the European Parliament will welcome representatives of the Bulgarian communities that live abroad. 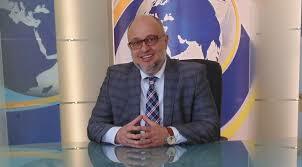 The host of the grand scale conference is the MEP Emil Stoyanov. The conference ‘Policies for the Bulgarians living abroad’ is organized jointly with the vice-president of Republic of Bulgaria Margarita Popova and it is part of establishing a long-term strategy for Bulgarians abroad. Our compatriots, that live and work abroad, represent around 15% of all Bulgarians, where the largest communities are situated in the US, Spain, Ukraine, Moldova and Germany. Bulgarians abroad usually are well educated and enjoy a successful career in the countries they live in.